The Former Kellow Falkiner Showrooms were built for Charles Kellow, a pioneering Australian motorist and car salesman, in 1928. The architect for the glamorous two storey building was Harry A Norris. Constructed of structural steel, brick and concrete, the showrooms are finished with terra cotta piers, frieze, lintels, window trim and machicolations. They feature large glass display windows. The showrooms were used by Kellow Falkiner until WW2, when they were altered internally to accommodate the air force as part of the Defence Forces grouping along St Kilda Road. In 1952 the building was occupied by the State Electricity Commission and in the 1970s by the Department of Civil Aviation. 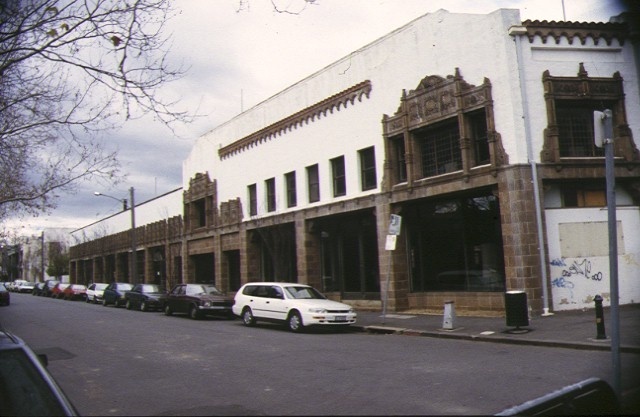 The Former Kellow Falkiner Showrooms are of historical and architectural significance to the State of Victoria. The Former Kellow Falkiner Showrooms are of historical significance for their association with the development of motoring and the motor trade in Victoria. Charles Kellow, the principal figure in the Kellow Falkiner business, was one of the first motorists in Australia and through his firm, the Kellow motor company, one of the first car distributors and dealers. Kellow established his motor retail business in 1907, and by the time this building was constructed, Kellow Falkiner was the leading agent for prestige British and American cars in Australia. The opulent and well-located showrooms reflect the company?s market position and the elite nature of car ownership at the time. The Former Kellow Falkiner Showrooms are of architectural significance as an excellent example of early, purpose-built car showrooms, as the work of Harry Norris, and for the innovative use of decorative materials in their construction. At the time of the showrooms' construction, cars were still largely luxury items. This is reflected in the choice of the Spanish Mission style, which was the usual choice for new car showrooms and service stations in the late 1920s. It was intended to evoke some of the glamour and style of Hollywood and film stars with fast cars. The celebrated status of the Kellow Falkiner Showrooms and of their designer gave impetus to the evolution and acceptance of the Spanish Mission style in Melbourne. The Showrooms' architect, Harry Norris, was one of the leading commercial architects in Melbourne between the wars. 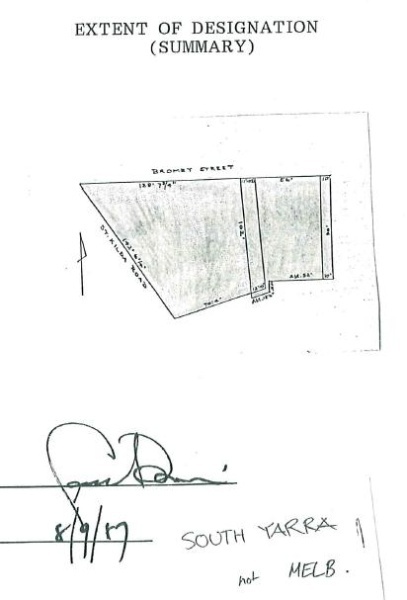 His practice was founded in the early twenties and spread interstate through his clients' commercial activity. 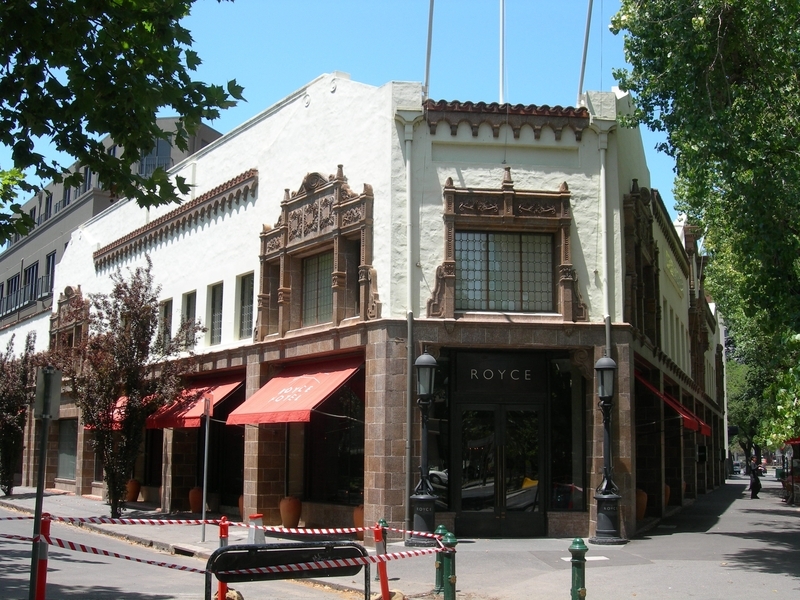 He was responsible for many notable buildings, and gems of the Moderne style, including Mitchell House, the Nicholas Building and Majorca House in central Melbourne. Norris used innovative materials in the Kellow Falkiner Showrooms. He was a pioneer in the use of Wunderlich architectural terracotta tiles in Melbourne, and this building provides a fine example of them. Wunderlich's Mission Tiles were also employed and Wunderlich was so proud of the use to which their products had been put that the building was featured in a company promotional booklet. Former Kellow Falkiner Showrooms 279 St. Kilda Road, Melbourne, to the extent of the whole of the building and the whole of the land as described in Certificate of Title (Volume 1731 Folio 088 and Volume 5216 Folio 125). The Former Kellow Falkiner Showrooms were built on the site of an old Cable Car Engine House (part of the St Kilda Beach line)for a cost of over 10,000 pounds. According to the Argus (2 November 1928) the walls of the engine house, built by 1888,were retained when the showroom was built. It is likely that some of the engine house infrastructure, such as cable tunnels, pits, winding wheel pits, etc, remain under the floor. The Showrooms were lavishly decorated, as befitted the sale of prestige cars. 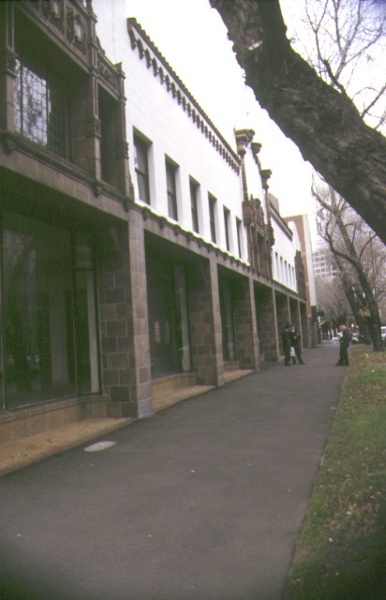 Interestingly,though, the Melbourne City Council initially opposed the siting of the Showrooms in prestige St Kilda Road. Car showrooms, which were becoming increasingly common in the 1920s, were also subject to considerable opposition. Owners and designers were keen to improve their appearance and in this case, Harry Norris, one of the leading commercial architects of the time, was commissioned to provide an outstanding building. The interior, now much altered, must have been stunning. The ceiling of the main showroom was 27 feet high and painted to resemble hammered gold. General decoration was in old ivory picked out with blue, vermillion and orange. Electric chandeliers, a fountain, wrought iron balustrades and other features completed the Hollywood look. There was even an open air roof garden off the mezzanine floor and the offices were centrally heated. The Kellow Falkiner name derives from the partnership between the Kellow Motor Company, established in 1907, and Ralph Falkiner. Although the partnership lasted only two years from its establishment in 1913, the name persisted and the company continues to sell prestige cars in Commercial Road South Yarra. Kellow retailed his first motor car, a single cylinder de dion in 1903. In 1910 kellow acquired the rights for the sales and service of Rolls-Royce motor car chassis in Victoria, a connection which the firm has maintained. Kellow was a personal friend of Royce.